I spend a lot of time looking at interior design blogs. 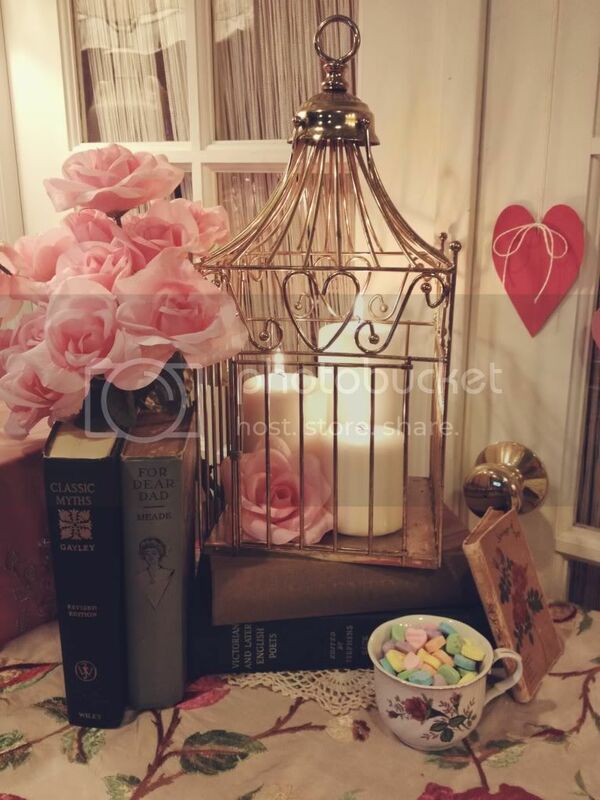 Some of my favorite blogs are the ones that post a lot of photos of Victorian, Vintage, and Shabby Chic homes, and I think these styles are perfect for Valentine's Day. I wanted to create a scene that has a cozy, romantic, nostalgic vibe. 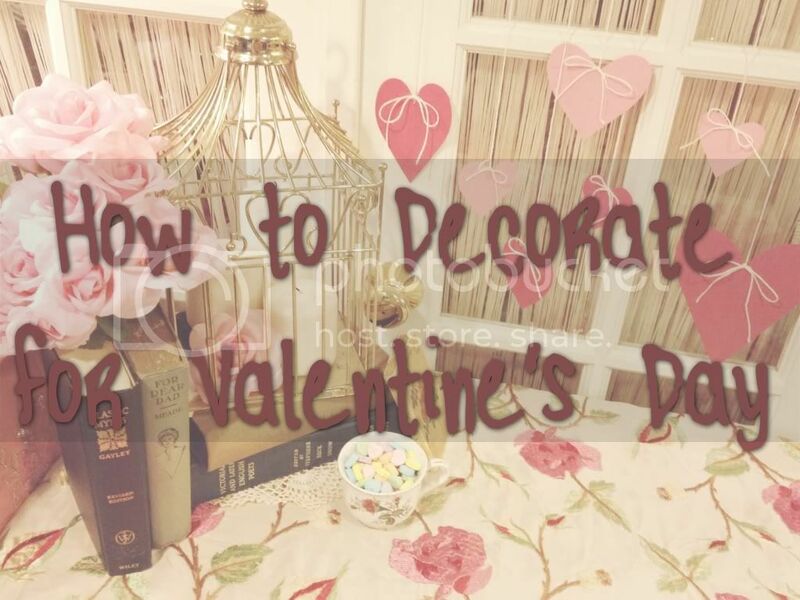 To do this, I used flowers, candles, and DIY and vintage items in warm, soft colors. I think thrift and vintage shops are the best places to find items to decorate with if you're on a budget. Many times, you can find better quality items at lower prices than you would find in a regular retail store (Check TheThriftShopper.com for stores in your area). I like unique pieces and I am a huge fan of vintage, so I usually only shop at mass retailers and dollar stores for basic items and crafting supplies. 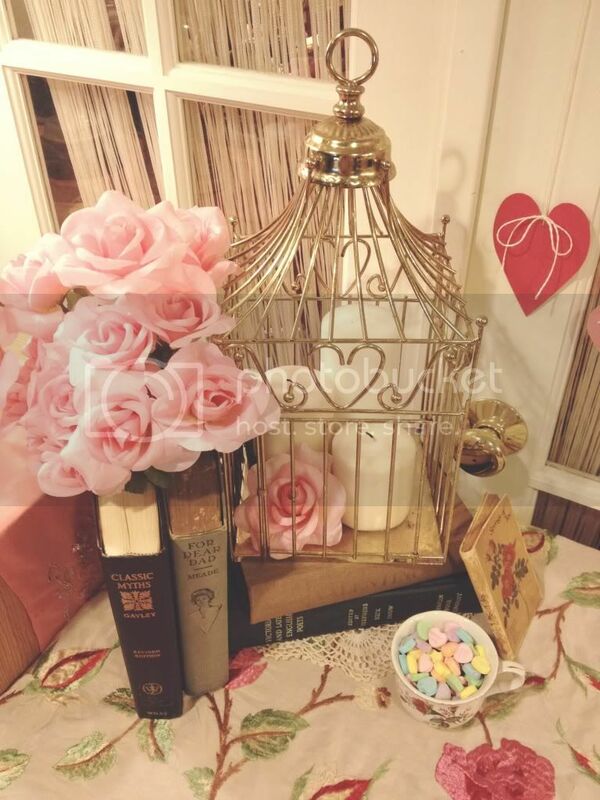 In these photos, the pillar candles and all of the supplies used to make the paper hearts were from Walmart, and the flowers were from Dollar Tree. Roses are one of my favorite flowers and a classic standard for Valentine's Day. These pink ones are from Dollar Tree. I was very happy with the quality of these. I don't buy a lot of fake flowers because with many of them, especially the lower-priced ones, you can tell that they are fake. When I do buy them, I look for ones that have blooms that look natural, disguised plastic connectors, and stems without an obvious mold line down the side. The books were a last minute idea. I went to a couple different thrift stores looking for vintage books with romantic key words in the title, like "dear", "classic", and "poets". I found these at a local shop for only $2.50 each. If I had more time (and a larger budget! ), I probably would have tried to get copies of classic novels, love stories like Romeo & Juliet, Wuthering Heights, or any Jane Austin novel. The birdcage, teacup, and tablecloth were also thrift store finds that I've had for a while. 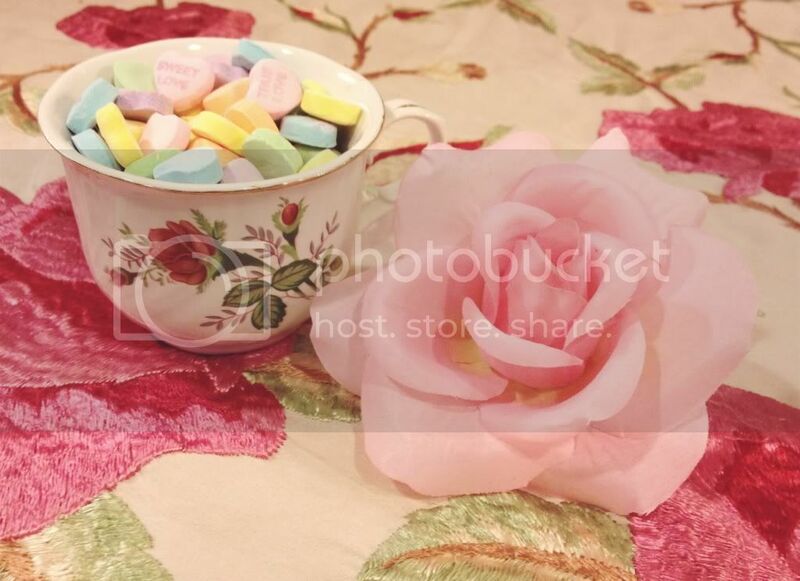 Valentine's Day isn't complete without candy hearts! 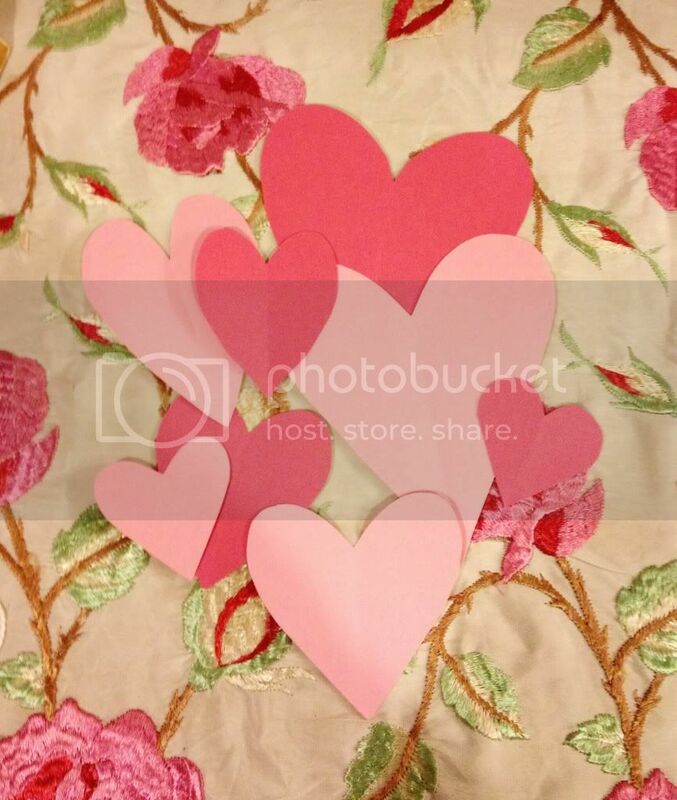 Here's a quick and easy DIY for Hanging Paper Hearts. All you need is colored paper, string or twine, a pair of scissors, and scotch tape. First, cut a heart out of the colored paper. 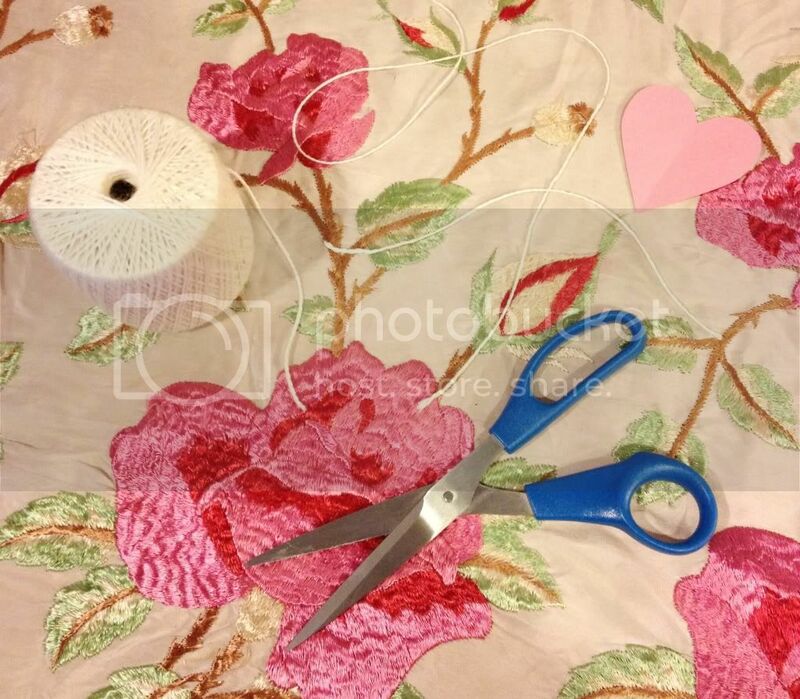 Then, cut two pieces of string, one shorter and one longer. Tie the shorter string in a bow onto the longer string, tape to the back of the heart, push the bow down to the base of the heart, and hang! 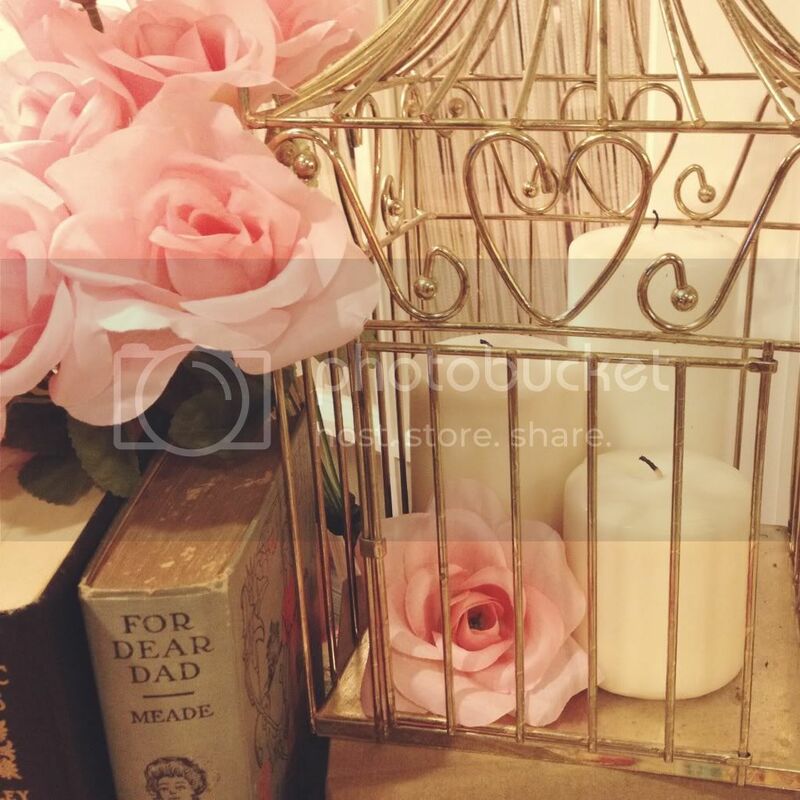 Light some candles for Valentine's night. 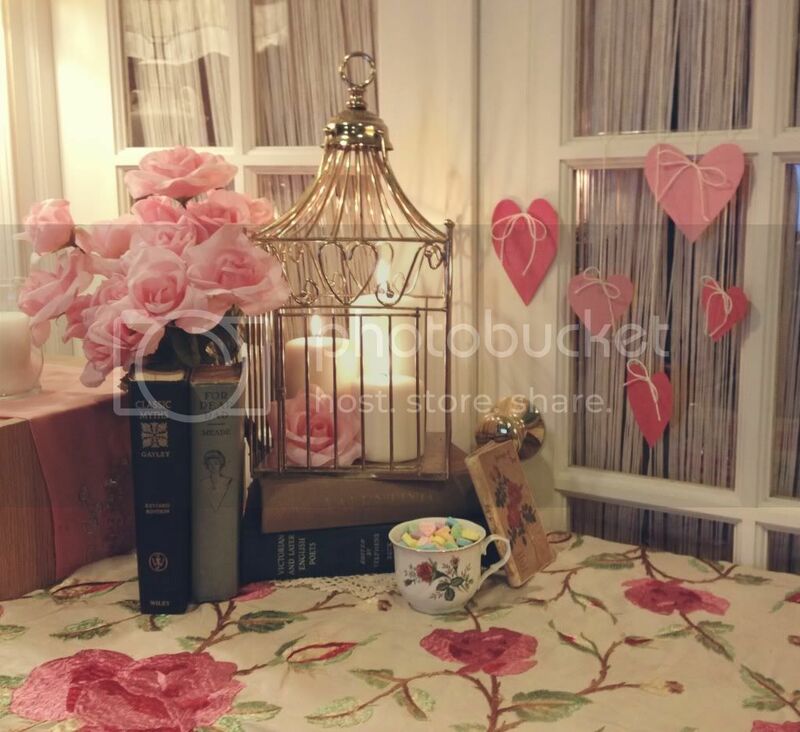 How did you decorate for Valentine's Day? Post your links in the comment section below! 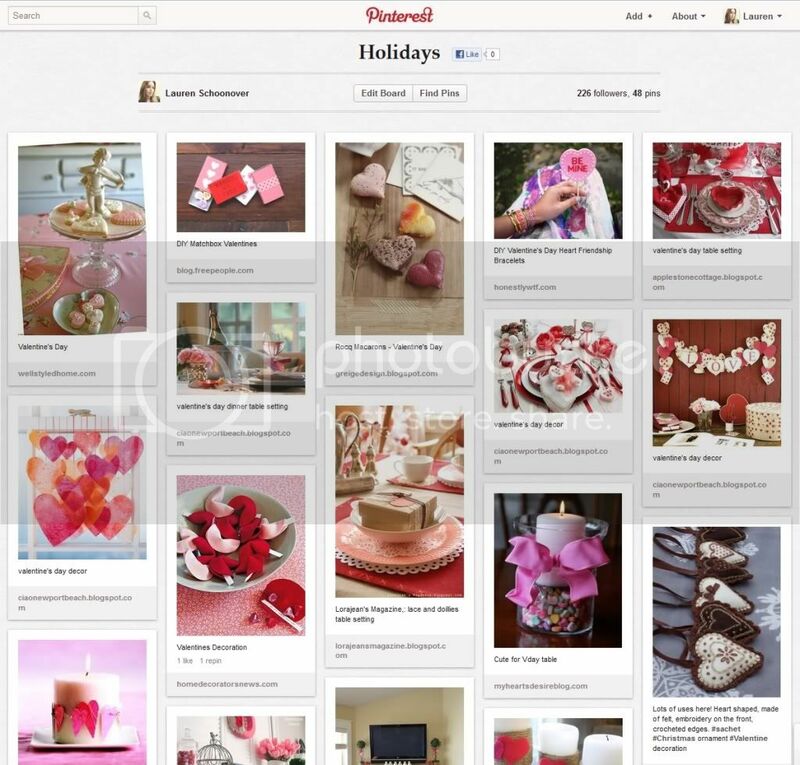 Take a look at my Holiday board on Pinterest for more ideas! I love the hanging hearts with the bows. Super cute! Happy V- Day!